'Ice Wall' Fails to Freeze Toxic Water Buildup at Japan's Fukushima Power Plant - Integration Through Media ....! Fukushima Daiichi nuclear plant, data from operator Tokyo Electric Power Co. show, preventing it from removing radioactive melted fuel at the site seven years after a meltdown disaster. However, since the ice wall became fully operational at the end of August, an average of 141 metric tons a day of water has seeped into the reactor and turbine areas, more than the average of 132 metric tons a day during the prior nine months, a Reuters analysis of the Tepco data showed. The groundwater seepage has delayed Tepco's cleanup at the site and may undermine the entire decommissioning process for the plant, which was battered by a tsunami seven years ago this Sunday. Waves knocked out power and triggered meltdowns at three of the site's six reactors that spewed radiation, forcing 160,000 residents to flee, many of whom have not returned to this once-fertile coast. Though Tepco called its project an ice wall, the company has sought to create something more like a frozen soil barrier. 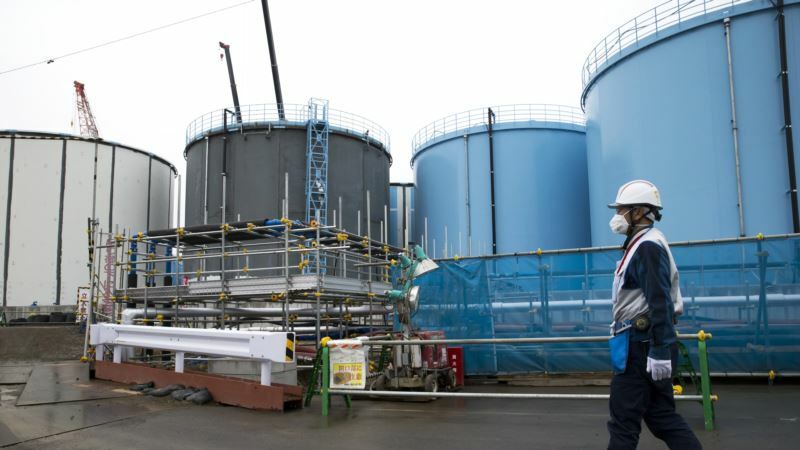 Using 34.5 billion yen ($324 million) in public funds, Tepco sank about 1,500 tubes filled with brine to a depth of 30 meters (100 feet) in a 1.5-kilometer (1-mile) perimeter around four of the plant's reactors. It then cools the brine to minus 30 degrees Celsius (minus 22 Fahrenheit). However, the continuing seepage has created vast amounts of toxic water that Tepco must pump out, decontaminate and store in tanks at Fukushima that now number 1,000, holding 1 million metric tons. It says it will run out of space by early 2021. “I believe the ice wall was 'oversold' in that it would solve all the release and storage concerns,” said Dale Klein, the former chairman of the U.S. Nuclear Regulatory Commission and the head of an external committee advising Tepco on safety issues. Overall, Tepco says, a combination of drains, pumps and the ice wall has cut water flows by three-quarters, from 490 tons a day during the December 2015-to-February 2016 period to an average of 110 tons a day for December 2017 to February 2018. It is hard to measure exactly how much the ice wall is contributing, Tepco officials say, but based on computer analysis, the utility estimates the barrier is reducing water flows by about 95 tons a day compared with two years ago, before the barrier was operating. Controlling the groundwater seepage using the ice wall has been central to Japan's program to show it had the Fukushima decommissioning in hand. The barrier was announced just days before Tokyo won the bid to host the 2020 Summer Olympics, and Prime Minister Shinzo Abe declared that Fukushima was “under control” in his final pitch to the International Olympic Committee. The purification process removes 62 radioactive elements from the contaminated water but it leaves tritium, a mildly radioactive element that is difficult to separate from water. Not considered harmful in low doses, tritium is released into oceans and rivers by nuclear plants around the world at various national standard levels. But local residents, particularly fishermen, oppose ocean releases because they fear it will keep consumers from buying Fukushima products. Many countries, including South Korea and China, still have restrictions on produce from Fukushima and neighboring areas.